High school students participate in band at Oakland Technical High School in Oakland, Calif., Monday, May 1, 2017. Only a third of 8th-graders in the western U.S. took an art class last year and only 17 percent played in the school band, the lowest figures of any region in the country, according to a recently released national arts assessment. The assessment, given to a random sampling of 8th-graders once every eight years by the National Assessment of Educational Progress, looked at how many students were enrolled in visual art and music classes at their schools, how well the students understood basic art and music principles and other criteria intended to measure the quality of arts education in the U.S. The assessment is the largest and one of the only assessments of arts education in the country. Students in the western U.S., which covers 13 states including California, showed slight improvements in their overall arts and music scores since 2008, but lagged in arts enrollment, with arts attendance dropping from 35 percent in 2008 to 33 percent in 2016. By contrast, almost 70 percent of students in the northeast were enrolled in a music or art class. 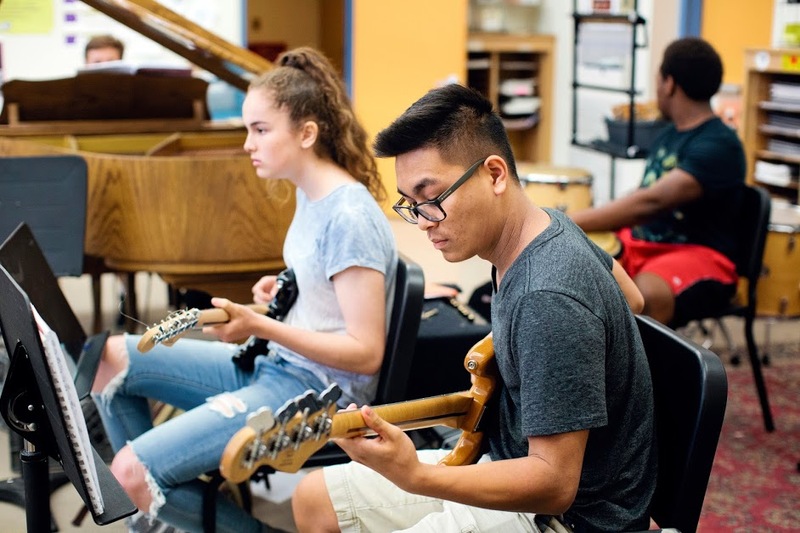 The figures for California are similar to the western U.S. as a whole, according to a database set up by Create CA, a nonprofit that helps California schools improve their arts programs. Until the 1970s, California had one of the top arts programs in the country, she said. Children learned to play musical instruments, draw, paint and make clay sculptures, performed plays at all grade levels and otherwise learned to express themselves artistically. But in 1970, a state law eliminated arts requirements from elementary teacher training, and in 1978 Proposition 13 resulted in deep cuts in school art and music programs. “California used to lead the nation in arts education. But over the last 40 years there’s been an unraveling,” said Patricia Wayne, program director for Create CA. Another major blow was the federal No Child Left Behind Act, signed into law in 2002, which emphasized reading and math tests to such an extent that some schools scaled back other topics, such as art. California has a rigorous K-12 arts framework, which is part of the California Education Code and which all schools are required to teach, but because the state has no standardized arts tests, some schools skip arts lessons entirely in favor of subjects that are tested, such as math and reading. Some schools have maintained their arts programs, thanks to grants, collaboration with arts nonprofits and parent donations. One of those is Irvine Unified in Orange County, where more than half of all students are enrolled in some type of art class, and at one high school, Northwood High, 89 percent of students take art, music or theater classes, said Brad Van Patten, the district’s visual and performing arts coordinator. Thanks to parent and corporate donations that top $2 million annually, Irvine Unified offers music, ceramics, painting and drawing to nearly every student. Each high school has three or four orchestras and jazz bands, as well as AP music theory classes, digital music, jewelry and fashion design, and classes in digital theater technology — the study of computer-operated theater lighting and sound, which helps graduates find jobs at nearby Disneyland and in the film and music industry. Van Patten said he sees the benefits on campus and when talking to alumni. He said attendance and graduation rates are high, the school climates are good, and graduates say they’ve continued with the arts long past high school. One is in quality control at a space technology company but plays saxophone on the weekends. Another is a medical researcher who plays in a string quartet. A third works at the U.S. Department of Justice but still sings in a choir. “We don’t have any test scores to show this works, but we do know it’s made many of our students happy, successful people,” he said. Another city that has invested heavily in arts education is Chula Vista, near San Diego. The Chula Vista Elementary School District set aside $15 million in its budget this year to hire more than 65 arts teachers for its 30,000 students. The Sweetwater Union High School District holds a free intensive arts camp every summer, and Chula Vista High’s acclaimed mariachi band performs throughout the U.S. and Mexico. But many schools — especially those in rural or high-poverty areas — don’t receive parent donations or grants to pay for art supplies, instruction, musical instruments or other necessities of a high-quality arts program, Wayne said. The national assessment scores reflect that, as well. Students at suburban schools and private schools scored highest, and students not eligible for free or reduced lunch outscored their peers who are eligible. According to Create CA’s database, rural Lassen, Alpine and Mono counties have the state’s lowest number of students enrolled in arts classes — fewer than 20 percent, but affluent Marin has the highest, with 58 percent. California already has an arts framework, a detailed, 282-page guide to teaching dance, music, theater and visual arts to students in kindergarten through 12th grade. Among other tasks, kindergartners are expected to understand basic theater vocabulary (“audience,” “character,” “stage”), perform simple folk dances, draw geometric shapes and everyday objects, and sing songs from memory. High school students are expected to sight-read music, perform Shakespeare, have an art portfolio that shows “refined craftsmanship and technical skill,” and choreograph original dance numbers, among other skills. Because the state doesn’t administer standardized tests of these skills, the implementation is scattershot, Wayne said. Some schools have arts programs, some don’t. But there are plenty of good reasons to push arts education, advocates said. Students enrolled in their school’s art programs — such as a school play or jazz band — have higher attendance and graduation rates, higher reading levels, fewer discipline problems and stronger social-emotional skills, said Laura Smyth, program director for the Title I initiative at the California Alliance for Arts Education, a nonprofit that pushes for stronger arts policies and ties between schools and arts organizations. In addition, 10 percent of jobs in California — and 7.8 percent of the state’s gross domestic product — are linked to the arts, including the TV, film, fashion, music, video game, architecture and digital media industries, according to a 2014 economic study by Otis College of Art and Design. “California is arguably home to one of the highest concentrations of creative individuals in the world,” according to the California Arts Council, citing the report. Parents have many options, she said. They can work with their school leaders to increase arts funding through the Local Control and Accountability Plan, and remind district officials that they’re required by law to comply with the state’s arts framework. In addition, teachers and school leaders can apply for arts grants and work with local arts groups to provide instruction, training and materials, she said. And there was some good news for the western U.S. in the national arts assessment. The visual arts scores rose slightly, from 143 to 148 on a scale of 1 to 300, and the music scores stayed about the same, at 143. The top music scores were in the Midwest and northeast, tied at 152, and the northeast had the best score in visual arts, at 160. Despite the average scores being roughly 50 percent, parents should not necessarily interpret those scores as failing, said Grady Wilburn, a statistician with the National Center for Education Statistics. 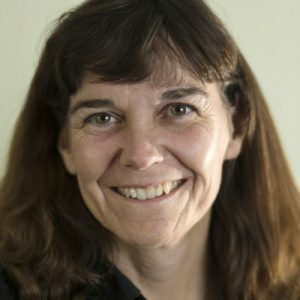 Laura LoGerfo, assistant director for reporting and analysis for the National Assessment Governing Board, which oversees the test, said the scores should be viewed as a guide to how arts education can be improved. It has been my contention for decades that music is “sound learning.” Common knowledge, pedagogical data, and effective curricular strategies dictate that the inclusion of the arts in the provision of instruction to the “whole student” has proven to be unparalleled; prominent research confirms this fact. We know this. When we act on this knowledge and leave the arts in our schools to the benefit of all, we will realize great continuous improvement in student achievement across the curriculum, and throughout society. After all, our youth are getting “smarter” with each generation; they are ready for an uptick in education.